Hannah is a forty-ish year-old Asian elephant housed at Max L. Biedelman’s zoo in Bladenham, Washington. Hannah is blind from one eye due to an incident when she was a youngster in which her mother got killed after trespassing in a plantation in Burma. Samson Brown, Sam for short, has been Hannah’s keeper for forty-one years. At sixty-eight years old, Sam isn’t ready to retire unless Hannah can go live with other elephants, a dream he has had for years. When a new zoo keeper named Neva Wilson is hired, a chain of events will be set in motion to make Hannah’s dream a reality…But money and the zoo’s director may stand in the way. Very few books elicit lots of memories from my life as Hannah’s Dream has. Since I was a child more or less into my teenage years, my father paid me to write short stories. That’s how I learned to write and ever since, I dreamed of becoming an author. When I was a teen I wrote a short story about a zoo and the death of its star, an elephant, and the fallout from that and how the death of the elephant impacted the staff, particularly its zoo keeper and how she ended up going to a psychoanalyst to deal with the loss. Hannah’s Dream reminded me a lot of that story and how I have strayed from my teenage dream. 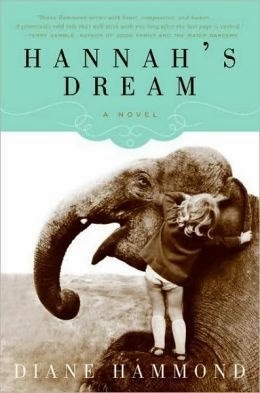 Hannah’s Dream is a book about an elephant and its relationship with its zoo keeper, but it’s also a story about love, loyalty, loss, growing old and infirm, being at odds with God and the reconciliation with Him once the main characters recognized their prayers had been answered. In Hannah’s Dream, Corinna and Sam, two of the main characters together with Hannah, lost a baby at birth and were at odds with God ever since. While I haven’t had a loss to trigger such impotence, I too have had dark times with God. I strongly believe in God even though I’m not necessarily what you call religious and for that I fault my upbringing rather than my natural inclination. Well, I too found out that God had been listening to me all along even when He seemed to be stone deaf. Last year I received a bounty of miracles during my father’s illness. Thank to God my father is still with us even when medically he shouldn’t be; in other words, he defied the odds at least three times and for that I’ll be eternally grateful. Anyways, going back to Hannah’s Dream, I really liked this book. One may say it’s predictable, but it’s so well written and so sweet without being overly so, that I couldn’t stop rooting for the characters and Hannah in particular. There are strong females in this story, and most males aren’t, thus the contrast is stark. The animal facts and elements are an animal lover’s dream. I thought that Hannah’s Dream was Up meets Water for Elephants without the circus backdrop. Overall, Hannah’s Dream brought me a lot of reminiscing. It’s a fantastic story, sweet but not overly so about the relationship of an elderly man with the elephant in his care. Not to be missed! Lovely book about elephants - thanks! Yes, Carole. This book is lovely.